A concrete pour is best completed early in the morning at cooler temperatures to help with concrete screeding by slow the curing process. The high the temperature the quicker the concrete will harden. Depending on site access concrete can be poured direct from the concrete truck or more frequently a concrete pump is used to aid in distributing the concrete via a remote controlled boom arm or line pump. Both allow for saving of labour and increase the volume which can be delivered and placed at pinpoint accuracy. Thundercrete’s professional concretors have over 15 years experience pouring concrete of all kinds. 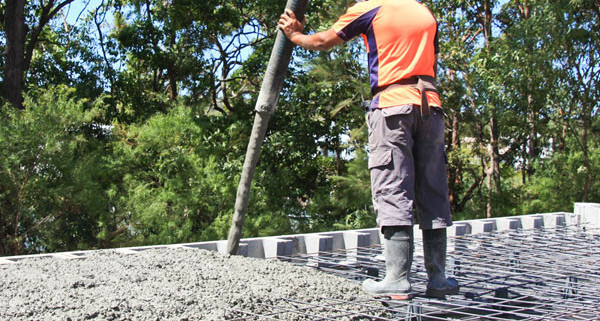 No matter what kind of concrete pour, with our experience, onsite foreman and team of experts concretors – Thundercrete guarantee a quality concrete service every time.